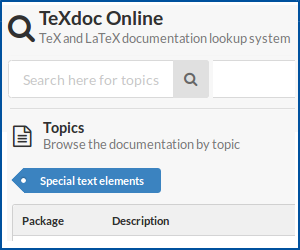 I use biblatex package for the bibliography list in my thesis, where entries which have many authors provide only the name of the first author. The citations of the references use numbers, and the list of the references is ordered according to the location of the first citation of the reference in the thesis. 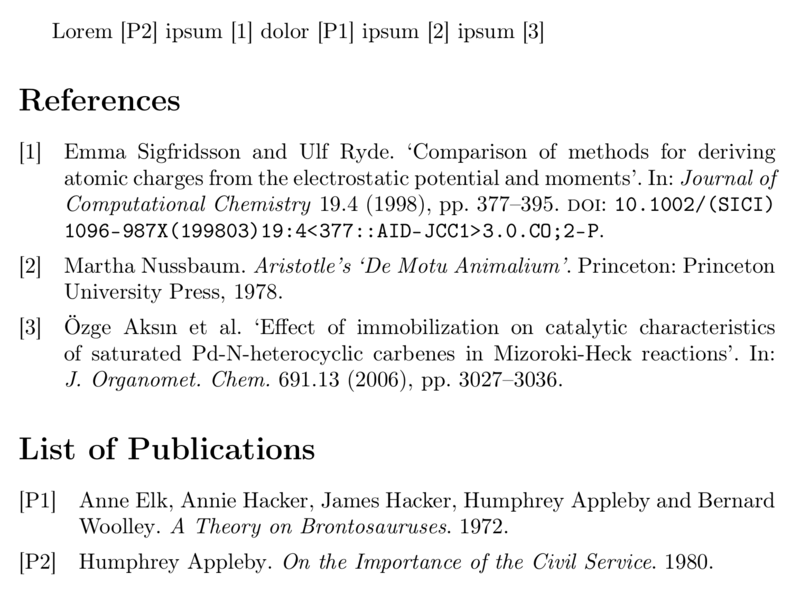 Now, I need to make a different list of publications with different and unique numbering, so that when I cite something in the thesis it should be obvious from the citation indicator itself if the citation belongs to the references list or to the publications list. And another thing: in the publications list, all the authors should appear regardless to the number of the article authors. I'm not an expert Latex user, and have no idea how to do it, and couldn't figure out the answer to my problem from the questions regarding multiple bibliography lists. Let's assume the following set-up. You have two separate .bib files. biblatex-examples.bib contains normal entries you want to cite in the normal bibliography. \jobname.bib contains the entries that should end up in the list of publications. We will further assume that no entries in \jobname.bib already have a keywords field. In a first step we use a Biber sourcemap to add the keyword lop to all entries in \jobname.bib. This keyword is later used to filter the different bibliographies. You don't have to use different .bib files, you could also add the keyword manually and directly in a single .bib file for all entries. One could also imagine other (more automatic) ways to separate the entries. The bibliographies can then be filtered using keyword and notkeyword. To realise the different sortings and the label prefix "P" for the list of publications we use so-called refcontexts. The maximum number of names can be manipulated by setting two counters. We pack that up in a handy macro. How to deal with two different authors with the same surname and same first name initials in biblatex? How to arrange the bibliography item in the order we maintain to cite in our thesis?